This major kick off tournament gets things started with a superb national showcase at an affordable price point in the Midwest MECCA – Chicago. Things tipoff December 5th with Oak Park-River Forest-Fenwick followed by St. Joseph-Redondo Union (Calif.) and the nightcap of Whitney Young-Southwind (Tenn.). Now on Sunday, December 6th…. Plainfield East-Hillcrest, Bogan-Lone Peak (Utah), St. Rita-Christ the King (N.Y.) and the nightcap of Simeon-Lancaster (Texas). One of the most overlooked tournaments nowadays, but based on pure atmosphere, thrills, and top-performing teams, do NOT sleep on this tournament held at Rich South High School. All but one of the 16 teams are from Chicago’s South Suburbs and that team is defending Indiana Class A champion Marquette. And like all the other teams, they are coming to town to dethrone defending champs Marian Catholic. Tournament tips December 26 and runs through the 30. 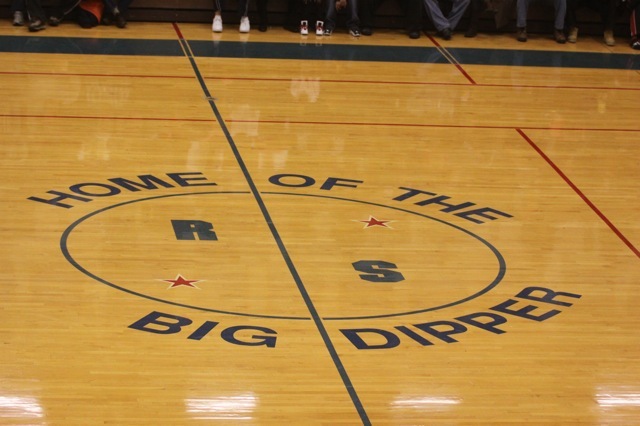 For more information about the McDipper, click here. 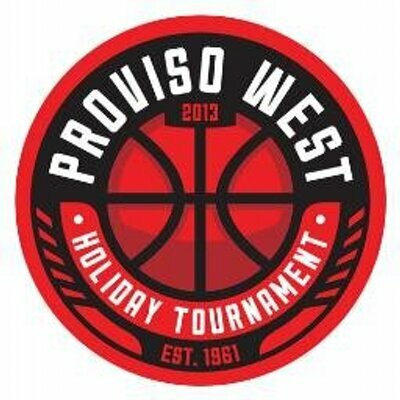 Proviso West Holiday Tournament is always one of the premier high school basketball events in the Chicagoland area, and this year, they slimmed back down from 32 teams to 18. The field of 18 teams in the 54th annual tournament is still extremely strong, though two-time defending 3A champ Morgan Park is no longer at Proviso West. Coach Nick Irvin’s Mustangs lost in the championship game of the Proviso West Holiday Tournament last year and decided to move on to something new. On the other hand, Stevenson, led by Player of the Year favorite Jalen Brunson, will be the headliner as the returning champ, while several other teams that will certainly be ranked when the season tips off in November include St. Joseph, St. Rita, Kenwood and Rockford Auburn. In addition to the host school, Proviso West, the tournament field also includes Fenwick, Morton, Proviso East, Uplift, Maine South, Hinsdale Central, Providence St. Mel, St. Viator, New Trier, Homewood-Flossmoor, Hillcrest and Brooks. The tournament will tip off with two games on Dec. 20, followed by eight games on Dec. 22 and nine games on Dec. 23. The tournament will continue Dec. 26 and conclude Dec. 27 with consolation championship, third-place and championship games. For more, visit PWHoops by clicking here. As it is being reported that this showcase puts top local recognized teams such as Stevenson against Simeon in a possible State Finals. Stevenson beat Simeon in last year’s event after Simeon beat Stevenson in the 2012 Class 4A final. The opening act features All-State forward Evan Boudreaux and Lake Forest against underrated point guard David Sachs and Highland Park. Everything tips February 21 at Niles West. For the second week in a row, the Patriots’ title hopes came down to the final possession of the game, and for the second week in a row Stevenson’s defense stood tall when the pressure was on. James Mahoney recovered a Homewood-Flossmoor fumble on Stevenson’s 3-yard line to seal a 31-25 victory in the Class 8A state championship. The wonder twins, Deante and Devonte Harley-Hampton, both played well and reached the end zone in the contest, but it wasn’t enough for the Vikings (11-3). Deante finished with 17 carries for 77 yards and one score, while Devonte added 15 carries for 58 yards and touchdown. “This game does not define our season. I’m proud of these guys and they battled until the end,” Homewood-Flossmoor coach Craig Buzea said. Stevenson’s Jack Joseph finished with 17 carries for 91 yards and a pair of touchdown runs. The Celtics (13-1) hang-on to win the Class 7A championship over Trojans Saturday afternoon in Champaign at Memorial Stadium. Sophomore running back Richie Warfield had 22 carries for 123 yards and four touchdowns to guide the team to victory. “I was just telling myself that one extra step could be the difference between a touchdown or a first down and all that can add up,” said Warfield, who had seven catches for 51 yards. Senior quarterback Justin Hunniford capped off his year and final game going 18-for-26 for 184 yards. The Celtics ground game nearly mirrored the passing attack with 164 yards. At the half, the Trojans led 14-10 until Providence seized momentum after a game-changing play by Notre Dame-bound receiver Miles Boykin. The Celtics were backed up on their on 3-yard line when Hunniford threw 38-yard pass to Boykin (three catches, 48 yards) with 5:50 remaining in the third quarter. Warfield finished the 97-yard drive with a five-yard run to put Providence up 17-14. Nate Vejvoda, tight end who has committed to Iowa finished the game with 5 catches, 55 yards. As it was reported prior to kickoff, an unexpected illness swept through much of Narareth’s team, but that didn’t stop them from winning the Class 6A title Saturday afternoon in Champaign at Memorial Stadium. A total of seventeen players suffered from a stomach flu Friday. The Roadrunners were led on the ground by senior running back Nolan Dean who rushed 39 times for 199 yards and two touchdowns. Nazareth rushed 33 consecutive times in the second half until senior quarterback Jonah Beauduy completed a 10-yard screen to Dean with 4 minutes, 8 seconds remaining in the game. The Roadrunners rushed the ball 63 times and passed six times behind a line that averages 6-foot-3, 285 pounds. Lemont’s key performer was Flynn Nagel, who caught 6 passes for 70 yards. Their only points came on the ground in the first quarter. The Roadrunners are undefeated (14-0) and this seems to be the best medicine available for everyone involved – 2014 State Champions! All of the summer drills and hot, intense practices come down to this week – week 9 – the final week of Illinois High School Association (IHSA) football. And on top of that, Mother Nature provided the area with beautiful weather for football, as many teams make a strong run for a playoff spot. The Caravan (5-4, 1-3) clinched their 29th straight playoff berth Friday night against conference foe Loyola, 10-7 at Gately Stadium. In this game, it wasn’t the play of the offense, as the score states, it was the defense which kept the Ramblers off-balanced the entire game. The Caravan D had two takeaways, an interception by Avery Saffold and a fumble recovery by Patrick O’Shea, plus a couple of perfectly timed sacks, led by junior Foster Williams. The Caravan got on the board right before halftime after a 39-yard pass from Anthony Thompson to Steven Wirtel, which put the ball on the one-yard line. One play later, Anthony Ries, took it in. Ries finished the game with 10 carries for 91 yards and that one touchdown, A.J. Lewis added 18 carries for 76 yards. The game was sealed with a 33-yard field goal by Zach Mirabelli with 3:30 in the third. The Ramblers got on the board late on a two-yard run by Jack Loper, but the Caravan recovered the onside kick and ran the clock out. This team doesn’t look like MC teams of the past but they did just enough to make other teams say, ‘I hope we don’t pull them in the first round. The Crusaders take a share of the Catholic Blue title after defeating St Rita 28-21 Friday night. They never looked back but had to turn things over to their stingy defense that stood strong stopping the Mustangs on two must-have plays. “We knew it was going to be a dog fight. We were in a good position last week against Providence and let it go,” said senior defensive end Kevin Furlong, who had a tackle for loss and sack. Alex Alarcon finished the game 15-for-25, 170 yards and a touchdown. St. Rita’s Tyre Lee had 24 carries, 132 yards and 2 touchdowns. Week 8… not sure how to describe it – you are either a fan of the B1G Ten or not. For me, this weekend was like going out on a second date, to a mediocre restaurant, and the check comes, and it’s a little more than you thought it would be – expectations were not met. 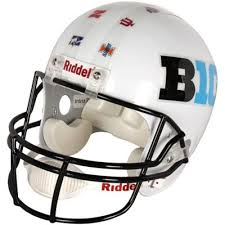 On the flip side, two B1G TEN teams did stamp their eligibility on for a bowl game. I guess this is when games start to really matter. Each team made a fashion statement: Northwestern with its alternate Gothic jerseys, Nebraska fans by taking over Ryan Field. Northwestern’s Justin Jackson made his own statement with two touchdown runs, and the Wildcats defense contained Nebraska en route to a 17-14 halftime lead. Nebraska’s Blackshirts adjusted in the second half, shutting out Northwestern and limiting them to 30 yards of offense. Ameer Abdullah broke free for 146 rushing yards and four touchdowns, and Tommy Armstrong made you believe a large man could fly. It’s a tough loss for Northwestern, which had shown some fight after a rough start to the season. Beyond the emergence of freshman running back Justin Jackson (who would be performing like Abdullah or Melvin Gordon if he had a better offensive line), not much is going well. To make a bowl, the Wildcats have to sweep Michigan, Purdue and Illinois or else pull an upset. As for the Cornhuskers, this finally looks like the year Bo Pelini loses fewer than four games. Is Minnesota for real? Well Saturday they proved they deserve a seat at the table like everyone else. It was sloppy but it’s a ‘W’ period. The Gophers took the lead on Ryan Santoso’s 52-yard field goal. On Purdue’s final drive, Cedric Thompson intercepted Austin Appleby to preserve the win. Purdue played a solid game in the first-half behind the play of running back, Raheem Mostert, who had 100 rushing yards after two carries, and Appleby’s second touchdown pass put the Boilermakers up 31-20 at the half. Hawkeyes got things started frist and jumped out to a 14-0 lead, but the home team, fought back behind the fine play of Stefon Diggs, who finished the day with 9 catches, 130 yards. And in the fourth, bam… a pick-six which sealed the victory. The Spartans continue to dominate including three straight touchdown drives let the Spartans put the game out of reach by halftime, and then Mark Dantonio added three more in the fourth quarter for good measure. Week 9 in the Big Ten, which has Rutgers-Nebraska, Maryland-Wisconsin, Minnesota-Illinois and Michigan-Michigan State going for it. Caravan (4-4) get a BIG win Saturday night and still keep their eyes on another playoff run. Wonder twin power activated again as the Vikings win BIG against Lockport Friday night. The Harley-Hampton brothers — Deante and Devonte – combined for the first six touchdowns in the first half of the 68-21 win. They are nicknamed for their speed: Devonte is nicknamed “Squirrel” and Deante is nicknamed “Rabbit”. “Once he seen the opening he pushed it,” Devonte said. Deante finished with seven carries for 175 yard and three TDs. Devonte had the same number of carries for 46 yards and three TDs — one receiving. With this win, the Vikings (6-2, 5-1) keep pace for the SouthWest Suburban Blue title. Talk about an offensive game where both teams put up lots of points and over 1,000 yards of offense… but in the end, the Celtics held off the Crusaders to snag a 3-point victory. Things got started when Richie Warfield returned a 94-yard kickoff return, and from that, each team went back-and-forth throughout. The Celtics’, Justin Hunniford, completed 22-of-34 passes for 364 yards and five touchdowns – three of those touchdown passes were a part of a first-half that saw the Celtics (7-1, 3-1) build a 28-7 lead at intermission. As the score states, the Crusaders did not give up, they only needed just 11 minutes to turn a three-touchdown deficit into a 28-28 tie. Rice’s biggest weapon was quarterback Alex Alarcon, who finished 33-of-46 for 430 yards. Sophomore Ricky Smalling caught 11 of those passes for 207 yards and three touchdowns, covering 61, 31 and 22 yards. It was the duo’s 31-yard score with one minute remaining in the third quarter that tied the game 28-28. Alarcon rushed for scores of nine and two yards in the fourth quarter. Hunniford converted a 27-yard field goal at 10:43 of the fourth quarter that gave Providence a 31-28 lead. This lead they would not relinquish, though Rice did score two mroe times. Rice needs to beat St. Rita on Friday to earn a share of the Blue title with Providence. Liam Morrissey did it all in this Friday night contest including rushed for 173 yards on 38 carries and touchdowns to lead East to a BIG conference win over Bolingbrook. With this victory, the Griffins clinched atleast a tie for the conference title. Crete-Monee (5-3, 4-1): Clint Ratkovich 21 carries, 163 yards, 2 TDs. Lemont (8-0, 5-0): Ryan Dawson 12-for-20, 276 yards, 7 TD; Flynn Nagel 5 catches, 170 yards, 2 TD. Argo (4-4, 3-2): Diamonte Mallory 3 catches, 122 yards, TD; 84-yard kick return TD. St, Laurence (4-4, 3-1): Alex Martinez 10-for-12, 241 yards, 4 TD; Fayezon Smart 20 carries, 137 yards; Carlos Baker 4 catches, 123 yards, 2 TD. T.F. South (6-2): Torian Lewis 19 carries, 120 yards, TD; Sterling Smith 18 carries, 89 yards, TD; Cody Petrich 4-of-7, 2 TD. Although the Illini took an early lead against the Badgers, 14-7, but it wouldn’t be for the entire game, of course. The Badgers dominated much of the second and third quarters behind Melvin Gordon and Corey Clement’s 339 rushing yards, but the Illini scored twice in the fourth quarter to make the final line more respectable. The Spartans were just too much for the Boilermakers. There one-two punch of Connor Cook and Tony Lippett resembled an NFL-caliber quarterback-receiver duo. The Boilermakers did make it a game beind for 21 in the fourth. The Boilermakers got the ball back with three minutes and a chance to tie, but pressure from the Spartan defense (which harassed Purdue QB Austin Appleby all game) forced an errant throw Darien Harris picked off and returned for a touchdown to seal the win. Close but necessary victory for Michigan. The Nittany Lions led 13-10 at the half thanks to a Devin Gardner pick turned into a touchdown. From this, they were only able to score 3 points, and the Wolverines hit two field goals. Facing fourth and long in its own territory, Penn State took an intentional safety and attempted a last-ditch onside kick. They recovered it, only for a bogus offside penalty to wipe it out. Yawn…. Gophers keep doing just enough to win games and on this Saturday they improved to 2-0 in conference play. This is the first time in a decade. Way to go!!! In the first quarter, Iowa exploded for four touchdowns to take a 28-7 lead. The Hoosiers got it close, pulling within seven at 28-21, but returning Hawkeye quarterback Jake Rudock propelled Iowa to a couple more scores to ensure he could wear his plaid victory cap. Running-back Tevin Coleman (15 carries, 219 yards) is doing all he can to buoy the Hoosiers, busting out for three 40+ yard touchdown runs, but he can’t save the season all by himself. NOTE: Iowa is just one win away from bowl eligibility. Week 8 features four Big Ten games outside of the Ohio State-Rutgers game: Purdue-Minnesota, Iowa-Maryland, Michigan State-Indiana and Nebraska-Northwestern. I recommend Iowa-Maryland for its delicate combination of crab and corn and Purdue-Minnesota for the gleeful uglyball the Gophers will play. See you all then. Rich Central came out on Friday ready to move into a first place tie with Bloom Township in the Southland Conference. The Olympians scored twice in the first 4 minutes on their opening possessions when quarterback DeQuan Richie (20 for 41, 347 yards, 3 TD, 2 INT) tossed a pair of touchdowns. The first went to Jordan Fuqua (3 TDs) from 17 yards out. The next came a minute later to Deshon Kelly from 29 yards away. After this, the Blazin’ Trojans scored the next 35 points on their way to a 35-28 win in Olympia Fields. The play that turned the game around came early in the third when Kyle Pugh recovered a fumble at the Olympians’ 7-yard line. After an offside penalty and a 3-yard run by Emmanual Williams, quarterback Jordan Benavides punched it in from 9-yards out for a 28-14 lead with 5:30 left in the third. Williams scored the first three touchdowns on runs of 60, nine, and nine yards. He added his fourth from 29 yards out with 2:19 left in the third to give his team a 35-14 lead. The 5-5 senior finished with 193 yards on 24 carries. Fuqua pulled the Olympians within 35-28 on a 2-yard TD run with 7:07 left in the fourth and a 5-yard TD catch with 34 seconds remaining. An onside kick was recovered by the Olympians on the ensuing kickoff but on the first play Richie threw and interception to Johnson to end the comeback bid. St. Rita running back Tyre Lee piled up 129 rushing yards and three touchdowns as host St. Rita rolled to a convincing 55-14 win over St. Joseph on Senior Night in a Catholic League crossover. St. Rita improved to 6-1 overall, clinching a playoff berth for sure with the victory. The road does not get any easier for the Mustangs, who close the season on the road at Loyola and Brother Rice with the Catholic League Blue title still very much up for grabs. St. Joseph fell to 2-5. Armone Elem rushed 14 times for 119 yards, including a 74-yard touchdown run in the first quarter for the Chargers. Vikings hold off the stingy Raiders 35-28 in a different way than everyone expected… through the air. Things finalized when Jared Sharp hit Bryce Gray for two long touchdown passes in the fourth quarter. Gray’s 80-yarder to Sharp with 9:00 left gave the Vikings a 28-21 lead. But the Raiders were not done… Quincy Woods returned the kickoff 66 yards to the HF 4-yard line and Julian Huff scored from a yard out two plays later to tie the score at 28. But just like that, Gray and Sharp hooked up again, this time for a 39-yard touchdown with 6:18 remaining for the final lead change in a wild second half. It was sweet redemption for H-F (5-2, 4-1), which let double-digit leads slip away in losses to Stevenson and Lincoln-Way East.